Once a company has been approved by the Scheme’s Monitor following the initial office visit, it will receive a Certificate of Registration. The certificate confirms the company’s registration with the Scheme as well as its unique ID number and the period of registration. Companies will receive a Certificate of Compliance every 12 months if they score a minimum of 5 points in each of the five sections of the Monitor’s report. The certificate will be awarded based on the results of the final validated score. 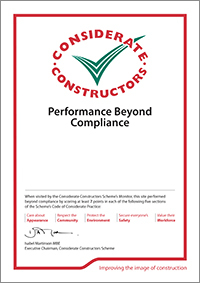 Companies will receive a Certificate of Performance Beyond Compliance every 12 months if they score a minimum of 7 points in each of the five sections of the Monitor’s report. 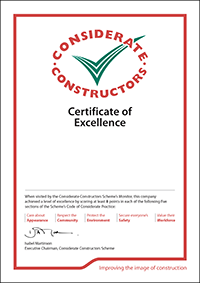 Companies will receive a Certificate of Excellence every 12 months if they score a minimum of 8 points in each of the five sections of the Monitor’s report. This certificate will be awarded based on the results of the final validated score.